Now retired and focusing on his media work on the radio, Alan Kennedy was a successful top flight professional Soccerer who played for a number of teams. Now an accomplished voice on local radio who uses all his years in the age to be a fine pundit and commentator, Alan made his debut on the pitch back in 1973. He first started out as a pro with Newcastle United and made his league debut at just 18 years of age. He went on to be a key player for the Magpies and turned out for the much loved side 200 times He then had Bob Paisley break the British transfer fee for a defender when £330,000 was given for to take him on a seven year trip with Liverpool. At Anfield Alan played more than an impressive 350 games and won plenty of winners’ medals. His 17 year career as a pro ended at Wrexham in 1990 after a knee injury, but not before he played his 500th game in the league. Kennedy had a knack for scoring goals despite being a defender, and netted lots of times as well as helping his teams to keep clean sheets. Kennedy could also kick the ball with real power and scored one such time against Real Madrid in the 1981 European Cup final. He then scored the final penalty as Liverpool beat Roma just a year later.Nowadays, Kennedy has his own youth soccer schools and hosts many local radio shows. 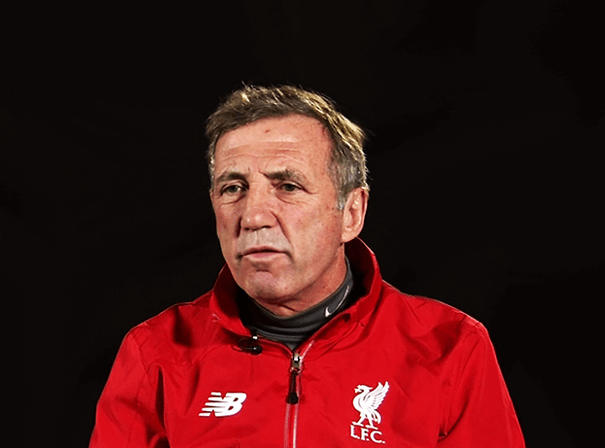 Should you be looking for an experience host or pundit with a real insight into and passion for the game, Alan Kennedy is someone who is dedicated and hugely competent.